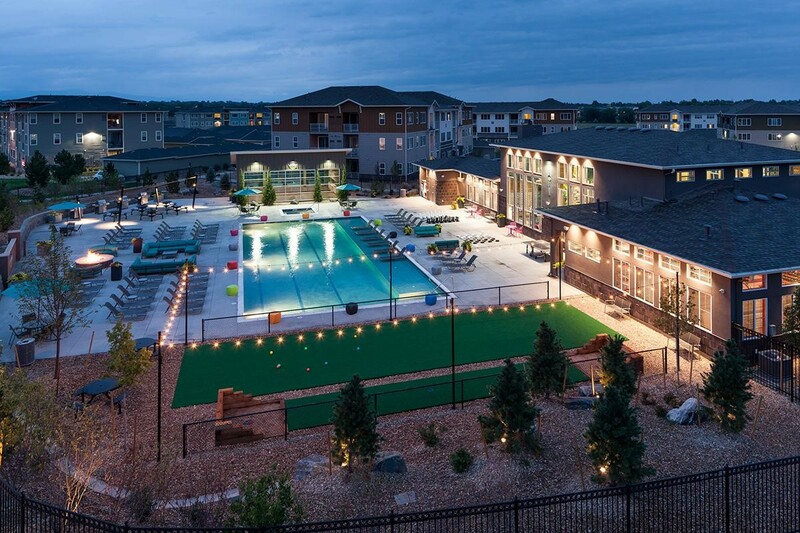 Buchanan Street Partners recently acquired Creekside at Palmer Park, a 328-unit Class A apartment complex in Colorado Springs, Colorado for $72.5 million from Griffis Blessing. Built in 2003, the complex is a mix of one, two and three-bedroom apartments with an average of 993 square feet per unit, exceeding the standard unit size in the market. The property was 95 percent leased at the time of acquisition and will undergo interior unit upgrades in Q1 2019, along with substantial renovations to communal amenities, which include a swimming pool and spa, outdoor barbeques, a club house and fitness center. David Potarf and Jake Young of CBRE represented the seller in the transaction. Buchanan Street represented itself. The purchase dovetails with Buchanan Street’s multifamily investment strategy focused on acquiring high-quality assets in markets with strong fundamentals. Colorado Springs is currently one of the hottest housing markets in the U.S. It boasts a booming job market with unemployment rates as low as 3.6 percent and holds the No. 2 spot in U.S. News & World Report’s 2018 Best Places to Live. NEWPORT BEACH, Calif. and SEATTLE, Wash. – (Nov. 26, 2018) – Buchanan Street Partners, a Newport Beach, California-based real estate investment management firm, has closed on a $16 million non-recourse bridge financing to Net Lease Alliance to resume and complete the construction of a 125,100 square-foot retail center in the suburban Seattle community of Puyallup, Washington. The project involves the redevelopment of a former Lowe’s store and is 100 percent pre-leased to 24 Hour Fitness and At Home, a publicly traded retail chain specializing in home décor products. Buchanan Street closed the loan in two weeks to enable the timely completion of the project and meet tenant commencement dates by year-end and the first quarter of 2019. Target Rock Partners represented Net Lease Alliance in the transaction. The property is located at 301 37th Avenue SE in Puyallup, ten miles east of Tacoma and 35 miles south of Seattle. The local market has experienced significant economic and population growth in recent years and is at the intersection of three major highways and a top boarding location for local commuter rail service. “Net Lease Alliance relied on our extensive construction lending experience to understand the project’s scope and move quickly to craft a financial solution for a complex deal involving a Washington property, an Alabama sponsor, a California lender and a New York broker,” added Maehler. Buchanan Street provides first mortgage capital and structured financing for commercial and multifamily properties. The company’s debt lending platform provides construction and bridge loans from $3 million to $30 million. NEWPORT BEACH and LOS ANGELES (August 28, 2018) – Buchanan Street Partners, a Newport Beach, California-based real estate investment management firm, has provided $4.1 million in short-term bridge loan financing for the acquisition and repositioning of Pacific Apartments, a 13-unit multifamily complex in the Mar Vista neighborhood of Los Angeles, California. Buchanan Street closed the loan quickly for an unnamed repeat client, providing for 80 percent of the purchase price and renovation costs. Pacific Apartments is located in Mar Vista and is one block from Venice Boulevard and Centinela Avenue, an area in LA’s Westside known for trendy restaurants, coffee shops and specialty stores. Nearby Silicon Beach is home to over 500 technology companies including Google, Apple, Amazon, Yahoo!, YouTube, Facebook, and others. The property, which was vacant at the time of sale, will undergo a complete renovation, including the addition of two rental units. Extensive interior remodeling is planned, including all new kitchens, plank flooring, modern lighting and energy efficient air conditioning. Exterior upgrades will include new landscaping, painting and façade improvements. Buchanan Street provides first mortgage capital and structured financing for commercial and multifamily properties. The company’s debt lending platform provides construction and bridge loans in the $3 million to $30 million range. Buchanan Street Partners is a real estate investment firm based in Newport Beach, California that invests debt and equity capital on behalf of institutional and private investors. Since its inception, Buchanan Street has invested more than $6.5 billion in real estate debt and equity investments. The company is comprised of a highly skilled team that has invested through multiple real estate cycles, enabling them to identify opportunities and maximize value while prioritizing capital preservation. www.buchananstreet.com. Newport Beach, Calif. and Tucson, Ariz. (July 23, 2018) – Buchanan Street Partners, a Newport Beach, California-based real estate investment management firm, has provided $4.25 million in non-recourse bridge financing to Cypress West Partners (CWP) for its purchase of a 15,038 square-foot medical office building in Tucson, Arizona. CWP, which owns or manages a portfolio of 2.4 million square feet of medical office properties in the Western U.S., successfully executed two 10-year leases for 100 percent of the building prior to closing. “By securing long-term leases for full occupancy prior to the close, CWP created substantial value for the project,” said Joseph Maehler, senior vice president, Buchanan Street Partners. The building is 50 percent leased to one of the nation’s leading operators of general acute hospitals, which has 119 hospitals in 20 states. 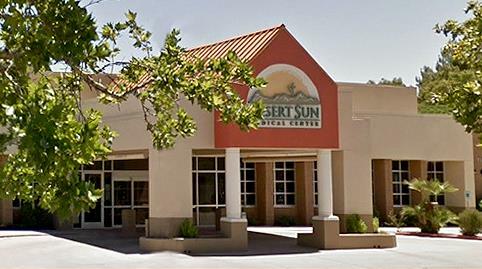 A regional pain management clinic operator will occupy the balance of the building. “Based upon CWP’s leasing success, we were able to provide a high leverage acquisition loan that limited the borrower’s equity and closed in two weeks,” added Maehler. Buchanan Street provides first mortgage capital and structured financing for high quality commercial and multifamily properties. The company’s debt lending platform focuses on construction and bridge loans in the $3-$30 million range. Buchanan’s flat entrepreneurial structure allows it to provide creative financing solutions that borrowers can depend on to close quickly. Newport Beach, Calif. and San Francisco, Calif. (July 10, 2018) – Buchanan Street Partners, a Newport Beach, California-based real estate investment management firm, has sold Dubuque Center, a three-building, 112,000-square-foot flex office and R&D campus located at 800-890 Dubuque Avenue in South San Francisco to SFF Realty Fund III, an affiliate of San Francisco-based PSAI Realty Partners, for $47.5 million. Buchanan Street purchased Dubuque Center in 2015 as a value add investment that would capitalize on the strong demand for flex office space surrounding the Oyster Point submarket, a hub for cutting-edge biotech businesses. In addition to physical improvements, Buchanan Street focused on converting underperforming industrial space into laboratories and other life science uses. Dubuque Center was 93 percent leased at the time of sale to, among others, Walmart, Emerald Cloud Lab and Thermo Fisher Scientific. and Ben Bullock of HFF. Newport Beach, Calif. and Las Vegas (June 14, 2018) – Buchanan Street Partners, a real estate investment management firm, has extended its value add investment strategy with the purchase of Tech Park V and VI, four office buildings totaling 158,341 square feet that are part of a larger master-planned office park in the Las Vegas area of Henderson, Nev. Buchanan Street acquired the buildings off-market for an undisclosed amount from American Nevada Company, who was represented by Cushman and Wakefield in the transaction. The buildings were a collective 64 percent leased at the time of sale. Buchanan Street plans to infuse new capital into the buildings’ common areas and restrooms and provide funds for leasing costs. “With two large blocks of vacancy that can accommodate tenants ranging in size from 10,000-40,000 square feet, an above standard parking ratio of 7 spaces per 1,000 square feet and available building signage along I-215, we believe that these buildings will generate great interest from large national and regional companies,” said Matt Haugen, vice president at Buchanan Street Partners. Buchanan Street was also attracted to the investment due to the ongoing economic impact of the business-friendly nature of Las Vegas, where robust regional economic growth has been marked by increases in employment that exceed the national average. “The favorable job growth and strong office market fundamentals in Las Vegas bode well for the achievement of stabilized occupancy for these assets,” added Haugen. Tech Park V and VI are located at 2300, 2310, 2340 and 2350 Corporate Circle Drive and benefit from excellent freeway access at the nearby intersection of Interstate 215 at North Green Valley Parkway. Numerous retail stores and restaurants are located nearby and McCarran International Airport and University of Nevada, Las Vegas are a short drive away. Buchanan Street invests in value add and core plus commercial and multifamily real estate in select markets throughout the Western U.S.
Buchanan Street Partners is a real estate investment management firm based in Newport Beach, Calif. that invests debt and equity capital on behalf of institutional and private investors. Since its inception, Buchanan Street has completed approximately $6.5 billion of real estate debt and equity investments, focused in the Western United States. The company is comprised of a highly skilled team that has invested through multiple real estate cycles, enabling them to identify opportunities and maximize value while prioritizing principal preservation. www.buchananstreet.com. DALLAS and Newport Beach, Calif. - April 10, 2018 – Buchanan Street Partners, a Newport Beach, California-based real estate investment management firm, in partnership with Minneapolis-based CarVal Investors, has made a $16 million preferred equity investment in the $74 million development of Jefferson Alpha West, a 409-home Class A apartment community in the Dallas-Fort Worth Metroplex city of Farmers Branch, Texas. The project is a co-development between JPI and Dallas-based Bridgeview Real Estate, master developer of the 14-acre Alpha West mixed-use project near the Galleria Dallas regional mall. “Our investment in Jefferson Alpha West offers the opportunity to participate with a premier multifamily developer in JPI and contribute to a significant mixed-use project in the dynamic Galleria submarket,” said Bob Dougherty, partner at Buchanan Street Partners. Jefferson Alpha West represents the first phase of the master-planned Alpha West project at the corner of Alpha Road and Inwood Road and near the border between Farmers Branch and Addison. At completion, Alpha West will include up to 300,000 square feet of office space, 80,000 to 100,000 square feet of retail shops, a 155-room hotel and a 1,200-stall parking garage. Jefferson Alpha West is a four-story project featuring one- and two-bedroom units ranging in size from 566 to 1,280 square feet. Apartments will feature 10-foot ceilings and contemporary kitchens with stainless steel appliances and quartz countertops. Community amenities will include concierge service, a resort-style pool, a two-story clubhouse, a state-of-the-art fitness center and yoga studio, and structured parking. The property has excellent visibility from the Dallas North Tollway and is within walking distance of Galleria Dallas. Buchanan Street Partners is a real estate investment management firm based in Newport Beach, California that invests debt and equity capital on behalf of institutional and private investors. Since its inception, Buchanan Street has invested and structured approximately $19.5 billion of capital in a broad range of equity and debt real estate investments through the United States. The company is comprised of a highly skilled team that has invested through multiple real estate cycles, enabling them to identify opportunities and maximize value while prioritizing principal preservation. www.buchananstreet.com. CarVal Investors is focused on distressed and credit-intensive assets and market inefficiencies. Since 1987, its experienced team has navigated through ever-changing credit market cycles, opportunistically investing $103 billion in 5,300 transactions across 79 countries. Today, CarVal Investors has over $10 billion in assets under management in both credit and real estate strategies. www.carvalinvestors.com. JPI is a national developer, builder and investment manager of Class A multifamily assets across the U.S. and is the most active multifamily developer in Dallas-Fort Worth, with 4,201 apartment homes under construction. Headquartered in Irving, Texas, JPI also has offices in California, Arizona, and New York. With a 30-year history of successful developments throughout major U.S. markets and an unparalleled depth of industry-specific experience, JPI stands among the most active privately held real estate companies in the country. JPI’s executive leadership team has an average of 25 years of comprehensive experience in multifamily developments – ranging from low-density garden apartments and mid- to high-density wrap and podium projects to student-living housing projects and mixed-use high-rise developments. The firm offers investment management, pre-development, underwriting, marketing and asset management services as well as construction, financial and administrative services. www.JPI.com. Newport Beach, Calif. and Salt Lake City, Utah (April 02, 2018) – Buchanan Street Partners, a Newport Beach, California based real estate investment management firm, has acquired a 160-unit multifamily property in the Salt Lake City community of Cottonwood Heights, Utah from RK Properties for $31.75 million. 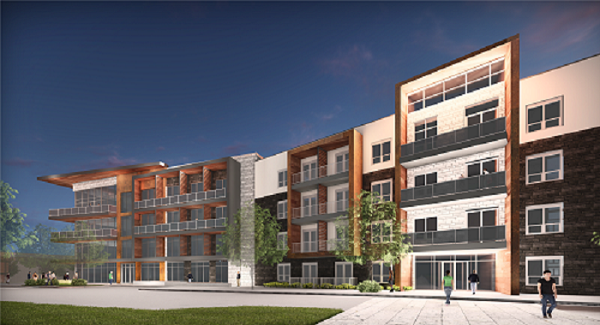 The purchase follows Buchanan’s 2017 acquisition of another Salt Lake City area property, a 298-unit apartment project, and signals the company’s expanding value add investment strategy in the multifamily sector in the Western U.S.
“Salt Lake City is among the fastest growing regions in the nation with strong economic growth led by job gains in the technology, finance, healthcare and professional service sectors,” said Kevin Hampton, executive vice president at Buchanan Street Partners. “Increases in the region’s economic activity and population continue to favorably impact the demand for multifamily housing, making this an attractive investment market for Buchanan Street,” added Hampton. Buchanan Street’s value add strategy includes significantly upgrading the unit interiors, improvements to building exteriors and common areas and a rebranding campaign to reposition the project in the market. Several aspects of the project appealed to Buchanan Street in making the investment, including spacious floor plans that average 1,029 square feet and ample green space in a landscaped, park-like setting. On-site amenities include a swimming pool and spa, clubhouse and fitness center. The project is in the east side of metropolitan Salt Lake City, recently named a 2017 Top 10 Best Places to Live by U.S. News & World Report. The project features walkable access to neighborhood retail amenities and is proximate to Fashion Place Mall. “This property has unmet potential to serve the housing needs of a highly educated workforce in a life-style market, which was a significant factor in our purchase,” added Hampton. James Wadsworth, managing director at Berkadia, represented both Buchanan Street and RK Properties in the transaction. 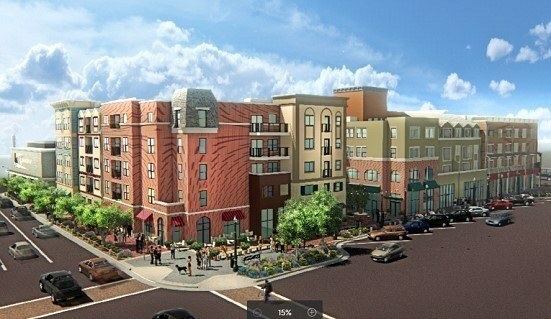 Newport Beach, Calif. and Lafayette, Colo. (February 12, 2018) – Buchanan Street Partners, a Newport Beach, California based real estate investment management firm, has acquired Luna Bella Apartments, a 240-unit multifamily project in the Metro Denver community of Lafayette, Colorado. Buchanan Street purchased the newly-built Class A apartment community from Milestone Development Group for $60.25 million. The purchase of Luna Bella represents Buchanan Street’s continued investment focus on acquiring high quality multifamily assets in suburban locations proximate to major metropolitan areas. 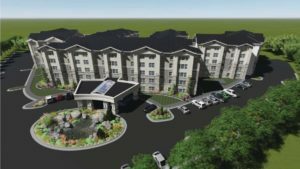 The firm also recently purchased a 298-unit apartment community in the greater Salt Lake City, Utah area. “Our investment in Luna Bella provides the opportunity to expand our multifamily portfolio with an active apartment community that has outstanding amenities and is in close proximity to several employment centers in Metro Denver,” said Kevin Hampton, Executive Vice President at Buchanan Street Partners. Luna Bella was designed with best-in-class amenities, including an expansive 5,400-square-foot club house, Junior Olympic swimming pool that is heated year-round and spa, a 24-hour commercial grade fitness facility stand-alone yoga studio with a tranquil Zen garden, bocce ball courts, 24-hour heated bike maintenance and repair facility, electric car charging station, an onsite carwash and detached garages for each unit. The project, located approximately four miles southeast of Boulder, provides residents central access to major employment centers in downtown Boulder, Interlocken/Broomfield and downtown Denver via the US 36 Denver/Boulder Turnpike. Luna Bella is connected to the Boulder County Trail System for easy bicycle commuting and is also within the desirable Boulder Valley School District. "The ARA Newmark Institutional Team, spearheaded by Vice Chairmen Doug Andrews, Shane Ozment and Terrance Hunt, represented Milestone Apartment Developers, LLC in the transaction." Newport Beach, Calif. (December 11, 2017) – Buchanan Street Partners closed on a $20.8 million construction loan for Newhall Crossings, a mixed-use project with 47 apartment units and 20,164 SF of retail space in Santa Clarita, California. The project will anchor a significant redevelopment in historic Old Town Newhall, a walkable downtown district with plentiful dining and shopping opportunities in burgeoning Santa Clarita Valley. “Santa Clarita Valley’s economy is markedly active and is built upon a solid business infrastructure. Newhall is truly coming into its own as a suburban market yet with a ‘new urban’ look and feel in its downtown area,” said Matthew Doerr, vice president at Buchanan Street Partners. “Millennial demographic trends point to increasing demand for an urban lifestyle in a suburban location, and given its proximity to the Newhall Metrolink Station, we think Old Town Newhall is poised to capitalize on that opportunity,” added Doerr. Newhall Crossings will be the northern anchor of the premier pedestrian oriented commercial corridor in Santa Clarita, with access to over 50 shops, restaurants and entertainment venues, and is served by a nearby Metrolink station. The project is part of a larger adjacent development that includes a seven-screen Laemmle Theatre, a portion that will be completed within the same timeframe as Newhall Crossings. The adjacent development also includes a 5-story parking garage scheduled for completion in the spring of 2018. The city of Santa Clarita has experienced tremendous growth in previous years, including an increase in employment in business, industrial, hospitality and retail services. “In addition to the area’s significant path of growth, experienced sponsorship, a walkable community and easy access to public transit were strong factors influencing our decision to finance Newhall Crossings,” added Doerr. Buchanan Street provided a 77% loan-to-cost, non-recourse construction loan for Newhall Crossings. The firm provides first mortgage capital and structured financing for commercial properties in the Western United States, with a focus on bridge and construction loans in the $5 million to $25 million range. Brian Halpern and Alex Kane at Jones Lang LaSalle arranged the financing for Buchanan Street. No further loan terms were reported. Buchanan Street Partners is a real estate investment management firm based in Newport Beach, California that focuses on value-investing in both commercial and multifamily direct ownership and in making debt investments. The company is comprised of a highly skilled team that has invested through multiple real estate cycles, enabling them to identify opportunities and maximize value while prioritizing principal preservation. www.buchananstreet.com. Newport Beach, Calif. and Herriman, Utah (September 11, 2017) – Buchanan Street Partners announces the acquisition of a bank-owned REO, a partially completed 298-unit age-restricted apartment community in Herriman, Utah. This transaction represents a programmatic effort to expand the company’s multifamily investment portfolio, following the recent appointment of Executive Vice President Kevin Hampton to lead this effort. Buchanan Street launched its multifamily investment platform in March 2017 to further diversify the company’s investment business, and plans to invest $500 million in the sector over the next three years. Buchanan Street purchased the partially completed development from Key Bank and Bank of the West, with plans to finish construction in early 2018 and deliver much-needed age-restricted housing to an underserved market. The project is located at 11901 Freedom Park Drive and is in close proximity to Daybreak, Utah’s largest and most successful master-planned community. Incline Apartments will afford residents convenient access to retail, restaurants and light rail transportation, and offer amenities such as an upscale clubhouse, fitness center, pool, spa, community Wi-Fi and more. Kip Paul, executive director of investment sales and Camron Carpenter, director at Cushman and Wakefield, represented Key Bank and Bank of the West. Buchanan represented themselves. Buchanan Street Partners is a real estate investment firm based in Newport Beach, California that invests debt and equity capital on behalf of institutional and private investors. Since its inception, Buchanan Street has invested more than $6 billion in real estate debt and equity investments. The company is comprised of a highly skilled team that has invested through multiple real estate cycles, enabling them to identify opportunities and maximize value while prioritizing capital preservation. www.buchananstreet.com. Newport Beach and Santa Clara, Calif. (May 8, 2017) – Buchanan Street Partners announces the acquisition of the Bayland Building, an office project located nearby Levi’s Stadium in Santa Clara, California. Buchanan Street purchased the building from Sleepy Hollow Investment Company for $32.3 million and will execute capital improvements to align the bui lding with the growing live-work-play lifestyle in the area. The 116,000-square-foot building is 100 percent leased to four tenants led by Inphi Corporation (NYSE: IPHI). Bayland is located at 2953 Bunker Hill Lane and features structured parking for tenants. The building is within walking distance to the Santa Clara Convention Center, Levi’s Stadium and a light-rail station. Bayland is located along the Great America Parkway corridor providing convenient access to the Southbay Freeway (CA-237), Bayshore Freeway (US‑101) and Lawrence Expressway. Buchanan Street will invest meaningful capital into Bayland to elevate the asset’s profile and tenant appeal. Plans include modernizing the building systems, updating common areas and increasing on-site amenities to attract and retain Silicon Valley’s innovative workforce. Eastdil Secured’s San Jose team represented the seller in this transaction. Buchanan Street represented itself. Buchanan Street continues to seek investments in value-add and core-plus assets throughout the Bay Area, and select markets in the western region. Buchanan Street Partners is a real estate investment firm based in Newport Beach, California that invests debt and equity capital on behalf of institutional and private investors. Since its inception, Buchanan Street has invested more than $6 billion in both real estate debt and equity investments. The company is comprised of a highly skilled team that has invested through multiple real estate cycles enabling them to identify opportunities and maximize value while prioritizing capital preservation. www.buchananstreet.com. Newport Beach, Calif. and Tempe, Arizona (April 17, 2017) – Buchanan Street Partners closed an $8.6 million loan for construction of The Roosevelt, a 32-unit residential townhome development in Tempe, Arizona. The transaction underscores Buchanan Street’s expanding lending platform and attraction to Greater Phoenix, a region where the company currently owns or has financed approximately 1.5 million square feet of office and multifamily projects. Buchanan Street provided a 74 percent loan-to-cost, non-recourse solution over a 24‑month term. The company previously provided the borrower a quick-close land loan to acquire the 1.7‑acre infill site in mid-2016. The project is located at 225 South Roosevelt Street in Tempe and will be developed by a joint venture between a regional multifamily developer and a private real estate investment firm based in Scottsdale, Arizona. The Tempe North office market continues to outperform all other submarkets in the Phoenix metro with 1.7 million square feet of positive net absorption in 2016. Major employers in the immediate area include State Farm Insurance, Microsoft, Morgan Stanley, Silicon Valley Bank and Arizona State University. The Roosevelt’s proximity to Mill Avenue will benefit the project because Mill Avenue is the premier live-work-play destination in the Phoenix metro. The borrower was represented by Cindy Hammond of Churchill Commercial Capital. Buchanan Street represented itself. Buchanan Street Partners is a real estate investment firm based in Newport Beach, California that invests debt and equity capital on behalf of institutional and private investors. Since its inception, Buchanan Street has invested over $6 billion in both real estate debt and equity investments. The company is comprised of a highly skilled team that has invested through multiple real estate cycles enabling them to identify opportunities and maximize value while prioritizing capital preservation. www.buchananstreet.com. Newport Beach, Calif. (March 13, 2017) – Buchanan Street Partners announces plans to deploy $500 million over the next five years with the launch of a new multifamily platform to further diversify the company’s investment business. Kevin Hampton has been hired as an executive vice president to lead the company’s new initiative at a time when apartment assets are attractive to many investors across the West Coast. Historically, Buchanan Street has invested in more than 14,000 multifamily units, often serving as the equity partner. Going forward, the company will focus on acquiring properties directly. Hampton and the dedicated multifamily effort will pursue core-plus and value-add investment opportunities in the Western United States, with an immediate focus in Denver, Salt Lake City and Phoenix. Hampton was formerly the president of PLC Apartments where he oversaw the company’s investment strategy and execution. Prior to PLC, he led development and investment operations across the Western United States at Associated Estates, a publically traded REIT, and was previously the vice president of development at Western National Realty Advisors. During his career, he has been responsible for the development of more than 15,000 apartment units across the Western states. Newport Beach, Calif. (February 6, 2017) – Buchanan Street Partners has provided a $25 million loan to Euclid Plaza LLC, for Stater Bros. Plaza, a 73,641 square-foot retail center in Chino, California. The transaction represents Buchanan Street’s active bridge lending business, which provides expedited, flexible debt financings for high quality real estate projects. “This is a contemporary, top-performing grocery-anchored shopping center offering a range of services and restaurants in an affluent section of Chino Valley,” said Matthew Doerr, vice president at Buchanan Street Partners. “We were attracted to this financing opportunity due to its secure in-place cash flow, strong tenant sales per square foot, diverse mix of internet-resistant retail tenants and significant amount of residential growth planned for the area,” added Doerr. The immediate neighborhood is expected to add 48,000 single-family and apartment homes, 12 schools and 5 million square feet of industrial development. Stater Bros. Plaza, with the ability to add another 21,300 square feet of retail development, is expected to benefit from the growing residential base in the area. Built in 2008, Stater Bros. Plaza was 96 percent leased at the time of the financing. In addition to Stater Bros., tenants include Sprint, Subway and others. The borrower, Euclid Plaza, LLC, was represented in the refinancing by Executive Vice Presidents Marina Massari and Sharon Kline of CBRE’s Newport Beach, CA office. Buchanan Street represented itself. “As we expand our new debt lending business, this project represents an ideal transaction with which to kick off 2017,” added Doerr. Buchanan Street provides first mortgage capital and structured financing for high quality commercial properties. Buchanan Street’s new debt lending platform focuses on bridge loans in the $5 million to $25 million range, and is designed to perform more quickly than is common among more heavily regulated capital sources. Newport Beach, Calif. and Denver (January 18, 2017) – Buchanan Street Partners announces the acquisition of 5613 DTC, a 224,015-square-foot, transit-oriented office tower located at 5613 DTC Parkway in Denver. Buchanan Street purchased the building from SteelWave, LLC with plans to complete extensive improvements that will attract and retain tenants seeking a first class office environment in one of Denver’s premier office submarket. Buchanan Street plans to invest significant capital in tenant spaces, common areas and building systems. Additionally, the company will look to strategically improve the tower’s fitness center, lobby and elevators, cafe, conference center, parking deck, and outdoor patios. The building is currently 80 percent occupied with available suites ranging from 2,000 square feet to 17,000 square feet. The 12‑story tower is situated in a highly prominent location adjacent to the I-25 freeway and within walking distance to the Orchard Light Rail Station. 5613 DTC is within the Denver Technological Center (DTC) in Denver’s Southeast office submarket, the largest submarket in the Denver metro. Denver’s Southeast region consists of 34 million square feet of office space and is home to many Fortune 500 companies that are attracted to its proximity to executive and employee housing, a strong retail amenity base and accessibility via multiple transit options. Tim Richey, Mike Winn and Chad Flynn of CBRE represented the seller in this transaction. Buchanan Street represented itself. Terms of the deal were not disclosed. Buchanan Street Partners is a real estate investment management firm based in Newport Beach, California, that invests debt and equity capital on behalf of institutional and private investors. Since its inception, Buchanan Street has invested and structured approximately $17 billion of capital in a broad range of equity and debt real estate investments throughout the United States. The Buchanan Street team has invested through multiple real estate cycles enabling them to identify opportunities and maximize value while prioritizing principal preservation. For more information: www.buchananstreet.com. SteelWave is a full-service commercial, residential and mixed-use real estate management, operating company and investment management firm. SteelWave and its predecessor companies, Legacy Partners Commercial and Lincoln Property West, have been active in commercial real estate for 45 years. We’ve built a reputation for successful execution by sourcing sound investments in our 6 key markets: Northern California, Southern California, Denver, Seattle, Portland and Texas. As a vertically integrated leader in the industry, we source, entitle, design, finance, develop, renovate, lease, manage and sell real estate investments on behalf of many well-known institutional clients. In 2015, SteelWave formed a strategic alliance with The Cavallari Group to procure and execute on certain aspects of multi-family and mixed use development and acquisition opportunities. For more, visit: www.steelwavellc.com. Newport Beach, Calif. and Houston (January 18, 2017) – Buchanan Street Partners has acquired Sam Houston Crossing II, a 160,000-square-foot office building located at 10344 Sam Houston Park Drive in Houston from Duke Realty for an undisclosed price. This is Buchanan Street’s sixth acquisition in Texas in the last 24 months. According to Buchanan Street, there is an increasing opportunity in Houston’s office sector as a result of the distress in the energy sector. Although the energy sector has recovered significantly, valuations have dropped materially. Sam Houston Crossing II is a three-story office building that is 100 percent leased by subsidiaries of Forum Energy Technologies; PEMEX; and First American Title Company. The property has frontage along Texas-8 Beltway between US-290 and Texas State Highway 249, in a location central to housing ranging from entry to executive level. Buchanan Street plans to seek opportunities in Houston and anticipates actively acquiring significant assets in Texas in 2017. Buchanan Street Partners is a real estate investment management firm that invests debt and equity capital on behalf of institutional and private investors. Since its inception, Buchanan Street has invested and structured approximately $17 billion of capital in a broad range of equity and debt real estate investments throughout the United States. The Buchanan Street team has invested through multiple real estate cycles enabling them to identify opportunities and maximize value while prioritizing principal preservation. For more information: www.buchananstreet.com. Newport Beach, Calif. (November 10, 2016) – Buchanan Street Partners has provided a $16 million loan to refinance 21845 Magnolia Street, a 29‑acre industrial facility in Huntington Beach, California recently purchased by subsidiaries of Shopoff Realty Investments. The loan represents the company’s ongoing strategy to provide reliable bridge financing for value-add real estate. 21845 Magnolia is one of the last large undeveloped coastal parcels in Southern California with redevelopment potential. Shopoff is planning a large-scale mixed-use development at the site to include single‑family homes, townhomes and open space, as well as visitor-serving uses such as hotel, commercial and retail components. Buchanan Street’s non-recourse first mortgage provides Shopoff new capital to support the pursuit of entitlements for the master-planned development. The property is situated near the intersection of Magnolia Street and Pacific Coast Highway in an amenity-rich beach community. It is located behind the Huntington Beach Wetlands Conservancy and steps from the Huntington State Beach. The project is also less than 2 miles south of Pacific City, a dynamic mixed-use project in coastal Orange County. According to Doerr, Buchanan Street financed approximately 50 percent of the acquisition cost while meeting Shopoff’s quick close requirements. Buchanan Street has invested and structured approximately $17 billion on behalf of institutional and private investors across a broad range of equity and flexible debt real estate investments throughout the United States. Buchanan Street originates construction and bridge loans for the acquisition, redevelopment, recapitalization or refinance of commercial real estate in primary and secondary Western U.S. markets. The company is a balance sheet lender who funds loans offering flexible lending structures to accommodate varied borrower needs. Buchanan Street Partners is a real estate investment management firm based in Newport Beach, California that invests debt and equity capital on behalf of institutional and private investors. Since its inception, Buchanan Street has invested and structured approximately $17 billion of capital in a broad range of equity and debt real estate investments throughout the United States. The company is comprised of a highly skilled team that has invested through multiple real estate cycles enabling them to identify opportunities and maximize value while prioritizing principal preservation. For more information: www.buchananstreet.com. Newport Beach, Calif. (July 26, 2016) – Buchanan Street Partners has hired Matthew Doerr as Vice President to lead the company’s growing bridge loan platform under Buchanan Mortgage Holdings, the company’s proprietary lending business. His appointment comes at a time of increased lending activity, following the recent closing of three loans totaling $30 million. Doerr has more than 13 years of experience underwriting and managing debt and equity assets in excess of $1 billion. At Buchanan Street, he will lead the structuring and underwriting of loans originating from Buchanan Mortgage’s balance sheet to accommodate acquisition, construction, redevelopment or project recapitalization across primary and secondary Western markets. Prior to joining Buchanan Street, he served as Director at Union Bank and Vice President at iStar Financial. Recently, Buchanan Street has experienced an increase in lending activity, marked by the closing of three loans for its new lending platform. The company provided a $12.33 million land loan to refinance a development site in Camarillo, California. The borrower plans to break ground on a 487,000-square-foot shopping center at the end of the year. Buchanan Street also funded an $8.5 million loan to Cadence Capital Investments for the acquisition of 3032 Wilshire Boulevard, a 9,307‑square-foot retail building in Santa Monica, California. Earlier this year, Buchanan Street provided the same borrower an acquisition loan for a site in Hollywood, California, on which the Colorado-based firm is building a new Gelson’s Market. Additionally, Buchanan Street provided an $8.5 million loan to refinance a 221-key independent hotel, Rita Suites in Las Vegas, Nevada, amidst record-high visitors to the city last year. In the last year, Buchanan Street has funded more than $77 million in loans in Nevada, Oregon, California and Arizona. The company originates bridge loans and construction loans for the acquisition, redevelopment, recapitalization or refinance of commercial real estate in primary and secondary Western U.S. markets. The company is a balance sheet lender that funds loans that offer flexible lending structures to accommodate varied borrower needs. Buchanan Street Partners is a real estate investment management firm based in Newport Beach, California that invests debt and equity capital on behalf of institutional and private investors. Since its inception, Buchanan Street has invested and structured approximately $17 billion of capital in a broad range of equity and debt real estate investments throughout the United States. A highly skilled team has invested through multiple real estate cycles enabling them to identify opportunities and maximize value while prioritizing principal preservation. For more information: www.buchananstreet.com. Newport Beach, Calif. and Dallas (May 16, 2016) – Buchanan Street Partners announces the acquisition of Bluffview Towers, a 196,356-square-foot office property adjacent to Dallas Love Field Airport. Buchanan Street purchased the two-building property for an undisclosed amount from Commercial Developments International (CDI), marking it the company’s fourth acquisition in the Greater Dallas area in the last 16 months. According to Buchanan Street, Dallas Love Field experienced an 87-percent increase in passenger traffic year-over-year in September. This increased activity followed the October 2014 expiration of the Wright Amendment, a 1979 federal law that limited long‑haul flights out of the airport. Bluffview Towers is located at 3860 and 3890 West Northwest Highway nearby the affluent Bluffview and Preston Hollow neighborhoods. The property features an Embassy Suites hotel on site, which was not included in the purchase, and is within three miles of Preston Center, an 800,000-square-foot retail and dining center. Bluffview Towers is currently 82 percent occupied with several long-term tenants. Buchanan Street has plans for lobby improvements and tenant common area upgrades to bring the project up to Class A standards. “The property has instrinsic value given the current tenants and projected growth around Love Field. By implementing insitutional quality upgrades and leveraging the location, we plan to reposition this property to elevate its standing in the market,” said Haugen. Jack Crews, Evan Stone and Lauren Zimmer of JLL represented CDI in the transaction, while Buchanan Street represented itself. Buchanan Street also recently purchased several other buildings in the Greater Dallas area that are poised for growth as a result of postitive absorption and infrastructure improvements. The properties include Tollway Plaza, a prominent two-building property in Addison, Richardson Office Center I & II in Far North Dallas and Granite Tower in Northwest Dallas along LBJ Freeway. Portland, Ore. and Newport Beach, Calif. (May 7, 2015) – Buchanan Street Partners, a national real estate investment management firm, has originated a $9.45 million bridge loan to Run Our Dream, LLC for the acquisition of a 68,600‑square-foot building in Portland, Ore. Buchanan Street closed the loan in 10 business days. Run Our Dream required the loan to undertake project designs and to secure approvals to convert the building into creative office space. The planned renovation will result in dramatic two-story work spaces with floor-to-ceiling windows. The borrower has preleased the property to Under Armour, Inc. (NYSE: UA) for 15 years. Under Armour plans to relocate from its Pearl District space in 2016 once the project is complete. Seattle-based InterUrban Development Advisors will develop the property. The property is located at 2815 South West Barbur Boulevard and was formerly a YMCA fitness facility that was built in 1977. The building is on a 1.71-acre plot of land with a 100-space enclosed parking garage. It is positioned near the I-5 and I-405 interchange and Ross Island Bridge, and is less than a mile from the new Lincoln Street-3rd Avenue light rail station. Buchanan Street originates bridge loans and construction loans to accommodate acquisition, redevelopment, project recapitalization or refinance across primary western markets. These loans are originated on the firm’s balance sheet and can offer flexible lending structures to accommodate varied borrower needs. Buchanan Street Partners is a real estate investment management firm that invests debt and equity capital on behalf of institutional and private investors. www.buchananstreet.com. Newport Beach, Calif. and Los Angeles (February 17, 2016) – Buchanan Street Partners has provided a $12.9 million loan to Cadence Capital Investments for the purchase of five buildings on Sunset Boulevard in Hollywood. Cadence Capital is in pre-development to deliver a multi-story building that is pre-leased to upscale regional grocer Gelson’s Market. 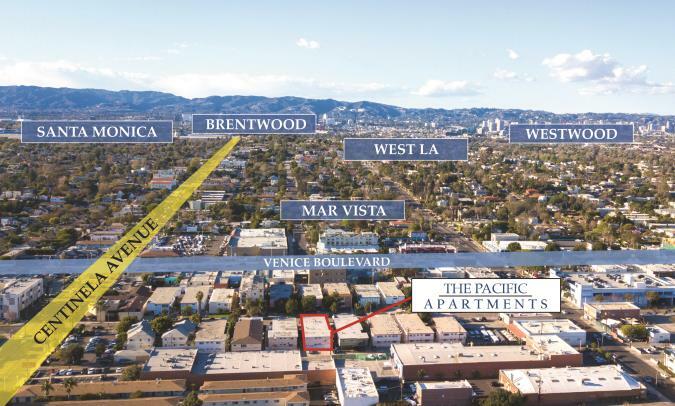 Gelson’s choice for the seven-parcel assemblage reflects the high traffic count at the intersection of Sunset Boulevard and Gardner Street, plus affluent area demographics. The new store location will be Gelson’s second in Hollywood, following the success of its West Hollywood store. A first quarter 2018 opening is planned. The project is adjacent to the famous Guitar Center on Sunset Boulevard in the heart of Hollywood. A low retail vacancy of 4.4 percent in the West Hollywood market speaks to the high demand by retailers, punctuated by lease rates of approximately $60 per-square-foot. The immediate neighborhood is undergoing a redevelopment renaissance, with new retail shops, restaurants and mixed-use developments either in progress or planned. Buchanan Street has invested and structured approximately $17 billion on behalf of institutional and private investors across a broad range of equity and flexible debt real estate investments throughout the United States. In the last year, the company has funded more than $77 million in loans in Nevada, Oregon, California and Arizona. Buchanan Street originates bridge loans and construction loans for the acquisition, redevelopment, recapitalization or refinance of commercial real estate in primary and secondary western U.S. markets. The company is a balance sheet lender that funds loans that offer flexible lending structures to accommodate varied borrower needs. Diamond Bar, Calif. and Newport Beach, Calif. (January 25, 2016) – Buchanan Street Partners has purchased Gateway Corporate Center, a two-building, 162,339-square-foot office complex located at 21680 & 21688 Gateway Corporate Center Drive in Diamond Bar, California. 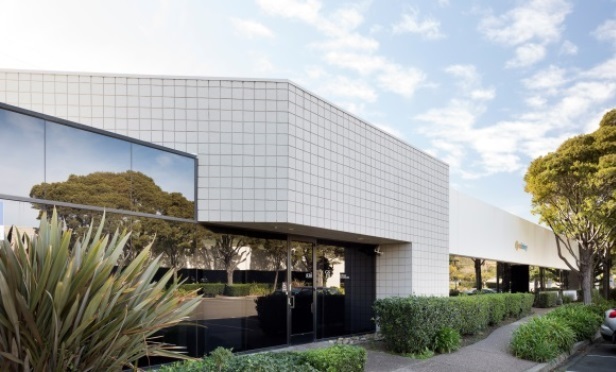 The acquisition reflects Buchanan Street’s ongoing investment strategy in the West, where the Newport Beach-based investor is actively buying core-plus and value-add office properties in growing markets. well as smaller entrepreneurial firms,” said Chris Herthel, senior vice president at Buchanan Street Partners. The firm acquired Gateway Corporate Center from Cornerstone Real Estate Advisers LLC, acting on behalf of an institutional investor. The project is 94 percent leased to high-credit tenants and benefits from institutional quality construction, efficient floorplates and ample parking. Buchanan Street will implement a proactive replacement program for several of the major building systems along with targeted aesthetic enhancements to the buildings’ lobbies, corridors and elevators. Gateway Corporate Center is located in the East San Gabriel Valley submarket at the intersection of the CA-60 and CA-57 freeways, near the industrial hub in The City of Industry. The property also benefits from its location within Diamond Bar, which offers nearby executive housing, high-achieving public schools and an abundance of retail amenities. Jeff Cole and Ed Hernandez of Cushman & Wakefield represented both Buchanan Street and Cornerstone. Buchanan Street Partner was founded in 1999 and is a real estate investment management firm that invests debt and equity capital on behalf of institutional and private investors. Buchanan has invested and structured approximately $17 billion of capital in a broad range of equity and debt real estate investments throughout the United States. www.buchananstreet.com. Cornerstone Real Estate Advisers LLC, with subsidiary and affiliate offices in the U.S., UK, Europe, and Asia, is one of the largest global real estate investment managers. It provides core and value-added investment and advisory services, including a comprehensive suite of private and public real estate debt, equity and securities expertise and services, to institutional and other qualified investors around the globe. Cornerstone is a member of the MassMutual Financial Group. For more information, visit www.cornerstoneadvisers.com.